Italy is most well known for its picturesque views, breathtaking cities and pizza! 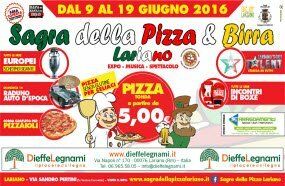 As Italy is the homeland of the pizza, no doubt the best way to honor the world's most sold fast food is a festival. 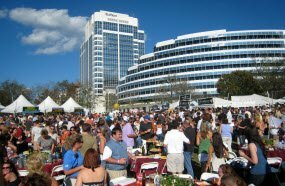 During the three week festival, the city will be loud of the live music concerts, wine tasting, performances with as many pizza as possible! Italy is worldwide known for its cuisine and fine wines; the Wine Town Festival held annually aims to showcase around 100 wineries from Italy including Tuscany. Accompanying events include numerous wine tastings, concerts, theater shows, also several museums can be accessed freely during the festival. All over Florence, venues include: Palazzo Pitti, Palazzo Nonfinito, Palazzo Antinori, Palazzo Davanzati, Loggia del Granco. 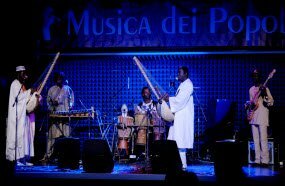 One of the main electronic and art festivals in Florence, held since 2006 offers locals and tourists a smashing entertainment for three days. The festival features great names of the electronic music scene as well as new faces. Each year from February to March, the streets of Florence come alive and get filled up with costumes, masked parades, giant colorful figures, dance and music. The carnival is a traditional celebration in Florence and throughout Italy with colorful parades. 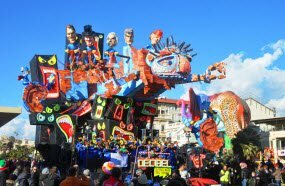 When visiting Florence in February to March, to attend the Carnival is a must on the bucket list. The huge festival ends with an exceptional fireworks. Held yearly since 1979, the festival focuses on displaying how colorful our world is by presenting and featuring around 300 national and international artists in music, dance and theater. The festivals aims to promote the variety of the ethnic and folk groups, celebrating how multicolored our society is.